There are those, including many of our Gumshoe brethren, who will find this dig mildly offensive. But I am here to assert that many of the promoters of “Holistic Naturopathic Wellness” have brought great harm to their cause, if indeed that is their cause. The topic of this Doc Gumshoe sermon is a pretty good example of a dire warning about a real disease combined with a hysterical spiel about the secret remedies that they insist will absolutely keep us safe from that particular threat as well as just about every other health threat in the solar system. A substantial portion of all the people who take the trouble to pay attention to the promotion will immediately write the whole thing off as nonsense, a complete and total fraud. And in so doing they will dismiss the entire category of non-prescription health-enhancing agents, just like the girl in the cartoon. The point I would like to make – cautiously, even-handedly – is that some of those agents probably do deliver some real benefits. By no means to the miraculous degree deliriously touted in the promotions, but in some cases, nonetheless real. Not all of them deserve to be lumped in with snake oil or with transplants from simian testicles to enhance sexual prowess. However, their association with deceitful sales pitches tarnishes the whole field of health supplements and leads to the comment of the girl in the cartoon. The particular one that prompted this piece came in over the transom from a reader. Travis forwarded it to me with the comment, “This one’s a doozy!” And indeed it is. Vital organs shut down – 100% DEATH RATE. The following is a Public Health WARNING for American citizens over the age of 60. This message is NOT sanctioned by our U.S. government. They do not want to incite a public panic. Your doctor, for controversial reasons, does NOT KNOW the information in this announcement. What’s behind this alarming announcement? In the first part of 2016 five patients who had undergone surgery for multiple trauma injuries were admitted to the integrated intensive care unit of the Second Affiliated Hospital of Zhejiang University, in Hangzhou, China. All five patients were receiving mechanical ventilation. These five patients developed severe pneumonia due to infection with Klebsiella pneumoniae strains that were resistant to carbapenem, which is frequently the antibiotic of last resort used in such cases. What was particularly unusual in those five cases is that the Klebsiella strains were not only carbapenem-resistant, but also possessed a plasmid that made them hypervirulent, such that the patients not only developed pneumonia that was resistant to antibiotic treatment, but especially severe. All five patients died. The implications of that episode were discussed in a paper in Lancet Infectious Diseases (Gu D. Lancet Infect Dis 2018;18(1):37-46) published online in August of 2017. The authors concluded that the Klebsiella strain posed a substantial threat to human health because it was simultaneously hypervirulent, multidrug resistant, and highly transmissible. As part of their investigation of the Hangzhou incident, the authors of the study conducted a retrospective analysis of 387 Klebsiella isolates of the same carbapenem-resistant strain, from hospital patients in 25 Chinese provinces. They found that only 11 (3%) of those strains also carried the hypervirulence plasmid. Of those 11 patients, five died. The obvious concern is that the multidrug resistant hypervirulent strain will become more prevalent, and not only in China. Because of the unfortunate fact that there are not a whole lot of new antibiotics in the pipeline, it might result in more pressure on the most advanced antibiotics in the current arsenal, which would inevitably lead to further antimicrobial resistance in pathogens beyond Klebsiella. However, no matter in what grim terms one couches the Chinese Klebsiella incident, this does not constitute a dire threat to all Americans over the age of 60, as the spiel would have us believe. Klebsiella pneumoniae is a gram-negative bacillus which mostly causes infections in hospitalized patients or residents in long-term care facilities. Community-acquired infections due to this pathogen, as distinguished from infections acquired in hospitals or long-term care facilities, are much less common. The community-acquired infections are mainly seen in persons with greatly diminished resistance, such as diabetics, severe alcoholics, or persons with underlying lung diseases. All of us harbor some Klebsiella microbes, particularly in the colon, and to a lesser degree in the pharyngeal spaces, but these do not usually cause infections under normal circumstances. The Klebsiella infections of concern – and this includes not only the ones that emerged in China, but all around the world – are the ones that take place in hospitals, particularly in patients receiving mechanical ventilation. In these cases, the ventilating system itself conveys the pathogen to the patient’s lungs. The tube that pushes air into the patient’s lungs (the endotracheal tube) goes into the patient’s windpipe (the trachea), bypassing the esophagus, which carries food into the stomach. The pathogen may have been colonizing the patient’s mouth or throat or nasal passages, or it might have been transferred from somewhere else in the hospital. 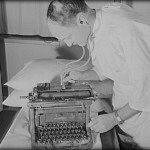 The mechanical ventilator is an almost ideal vehicle for the introduction of the pathogen to the part of the patient’s anatomy where it can do the most harm. It scarcely needs to be pointed out that patients are not given mechanical ventilation unless it is absolutely essential for the preservation of their lives, so avoiding ventilation as a means of preventing a hospital-acquired infection is not generally an option. Another name for hospital-acquired infections is nosocomial infections; those Klebsiella infections in China are officially termed nosocomial pneumonia. Hospitals everywhere – and I assume this includes China as well – are very, very diligent in trying to prevent nosocomial pneumonia, not only to preserve the lives of their patients, but to guard their reputations. Pneumonia in patients on ventilators has its own generic term, ventilator-associated pneumonia, which says a lot about the relatively high risk of this occurring. Of all hospital-acquired infections, nosocomial / ventilator associated pneumonia is the most lethal, accounting for about one-third of all hospital-acquired infection deaths. Klebsiella is by no means the most frequent cause of nosocomial pneumonia infections. That ranking of infamy belongs to a dangerous pathogen, Pseudonomas aeruginosa. Pseudonomas is fairly common, and has a disturbing tendency to become multidrug resistant, especially the strains encountered in health-care facilities. Another pathogen of concern causing nosocomial pneumonia is Staphylococcus aureus, particularly the methicillin-resistant (MRSA) varieties, which are becoming increasingly common. Hospitals are the ideal breeding-ground for resistant pathogens. In hospitalized patients, the bugs that are susceptible to antibiotics have mostly been eliminated. Thus, the ones that survive do so because they are resistant to antibiotics, and in some cases resistant to a number of different antibiotics. What about the chances of incidents like that happening in the US? “Our medical system has failed. We are now seeing the end of “modern” medicine beating disease and infections. And when this terrifying new Klebsi Plague hits America… we will be unprepared and defenseless. And here’s the announcement the authorities would prefer we didn’t share: The Plague could already be here. A few months ago, a 70-year-old woman from Nevada went into the hospital. She’d been traveling in India and picked up a nasty infection over there. The hospital tested it and found she was infected with Klebsiella. And it wouldn’t respond to treatment. Her doctors tried EVERY SINGLE ONE of the 26 antibiotics available in the U.S. – including the “drug of last resort” colistin. She died of septic shock from the Klebsiella infection. This Nevada woman is the first U.S. victim. But she won’t be the last. We’re estimating the exact timing, but based on the bird and swine flu epidemics, summer 2018 seems most likely. And if the Klebsi Plague infects you or your wife, you can go to your doctor… but he won’t be able to help. That story is not made up and only slightly exaggerated. The woman had broken a thighbone and had undergone several hospitalizations in India. When she presented to a hospital in Reno, Nevada, health workers found that her Klebsiella strain was resistant to carbapenem, a previously reliable antibiotic versus Klebsiella. She had most recently been treated in a hospital in India in June of 2016. She was admitted to the Reno hospital in August and died in September. Lab results eventually showed that the Klebsiella strain infecting the woman was resistant to 26 different antibiotics. As far as I can tell, it’s not that she actually received treatment with those 26 different antibiotics. But does that mean that all of us here on Planet Earth are doomed to perish with infections from pathogens against which all known antibiotics are utterly futile – unless, that is, we immediately go along with the new miracle drug that is being hyped in the spiel? I would venture to say, the risk is grossly exaggerated. Here’s why: the poor woman had the misfortune to pick up her infection in a hospital in India, which has the double curse of highly unsanitary hospital conditions and indiscriminate overuse of drugs to compensate for those conditions. We’ve discussed before the combination of circumstances that lead to drug overuse in India and ensuing development of resistance in pathogens: for example, because of poor community sanitation, women in India are encouraged to give birth in hospitals. But because of poor hospital sanitation, most newborns in India are prophylactically prescribed the most advanced antibiotics the hospitals can get their hands on. And because of the overprescription of those advanced antibiotics, resistance levels in pathogens increase by leaps and bounds. They identify a chemical/biological entity that has the potential to be a powerful antibiotic that can successfully attack a menacing class of pathogens, such as those multidrug-resistant gram-negative bugs that are a current threat. After years of development in the lab, in the clinic and then after increasingly costly clinical trials, their entity is approved as a drug by the FDA and regulators elsewhere. But because their new drug is effective against pathogens that resist all or most other drugs, regulators and the medical community at large are in agreement that the new drug should be held in reserve, to be used only in cases where other drugs fail. In other words, not as a first-line drug. That restriction is eminently sensible, since the more widely the new drug is used, the greater the likelihood that the crafty little pathogens will find a way to develop resistance to the new drug as well. But holding back the new drug hugely reduces the potential for the effective new drug to achieve really big sales. In the meantime, despite patent protection and guarantees of exclusivity, laboratories elsewhere on the planet look at this new chemical entity and find ways to copy it and distribute it. The copy drug is sold widely in a number of countries (not in North America or Europe) where resistant pathogens are growing increasingly common. The pharmaceutical company that originated the drug attempts, through whatever legal means are available, to quash such sales. But the argument is made that having that drug available in those countries is saving lives, and sales of the copy drug continue unabated. Therefore, while the most effective measures possible are being used in some countries to maintain the new drug’s effectiveness by using it as a drug of last resort, in many other countries it is used indiscriminately. So the pharmaceutical company doesn’t rack up a lot of sales in the more developed countries. Meantime resistance to the chemical entity has emerged, and the pharmaceutical company’s chance of recovering the couple of billions it spent on developing the drug evaporate. …that could be a life-saving shield against this coming plague. So why hasn’t your doctor gotten you a life-saving supply already? Because it’s not a drug. It’s actually 100% natural – so he’s not allowed to prescribe it. And, very likely, he’s never even heard of it. You see, it’s not from the United States – so our medical system has completely missed it. Recently, Japanese scientists were able to determine that certain exotic mushrooms have incredible healing powers. You just take a little by mouth – and the results are astonishing doctors and patients alike. In fact, Hexose Cerate is now being hailed in the scientific community as a kind of “all-disease miracle cure”. It’s a completely new type of medical immunotherapy – which means it uses your body’s own immune system to cure disease and infection. In lab and animal testing, Hexose Cerate has wiped out influenza, Avian “bird” flu, Candida fungus (yeast infections), Staph infection bacteria (MRSA), and even the dreaded HPV virus. There’s more. Hexose Cerate also has been shown in animal studies to decrease high blood sugar, high blood pressure, inflammation, and stress levels. It also kills cancer cells – even pancreatic and ovarian cancers – by the millions. In human studies, it increased life expectancy for liver cancer patients by 125%! Hexose Cerate is so powerful it’s now an accepted cancer treatment in more than 700 hospitals and clinics in Japan. So any virus, bacteria, or pathogen that comes your way is obliterated… by your own immune system. What exactly is Hexose Cerate? It’s a made-up name, because the Alliance for Advanced Health (the organization behind this promotion) doesn’t want us to know what they’re talking about, lest we do some checking around. But it doesn’t take much to identify their miracle drug as active hexose correlated compound (AHCC), derived from basidiomycete mushrooms, also known as shitake mushrooms (which, by the way, are delicious sautéed in butter with a few shallots thrown in). Checking AHCC in PubMed, there are 62 journal papers that in some way discuss that substance. By the way, PubMed indexes publications from all parts of the world, thus the assertion that since “it’s not from the United States, so our medical system has completely missed it” is entirely baseless. The great majority of the journal papers listed in PubMed are based on studies either in the laboratory or in mice, and although many are Asian, several were done at US academic centers – Ohio State, University of Texas, and Michigan State among them. AHCC has an antiproliferative effect on ovarian cancer cell lines in vitro, and thus may have the potential to be a complementary and alternative anticancer therapy for the treatment of ovarian cancer. When tested in a mouse model of acute myeloid leukemia (AML), AHCC led to increased survival time and AML-cell specific death, lending support for further investigation. In studying the effect of AHCC on breast-cancer in mouse models, AHCC demonstrated toxicity against the cancer cells, justifying further study. In a study in patients with unresectable pancreatic cancer (i.e., not susceptible to surgical treatment), AHCC demonstrated the capacity to mitigate some of the side effects resulting from chemotherapy including taste disorder. In human study of the seasonal variation of immune competence, AHCC-treated volunteers maintained natural killer (NK) cell activity, while NK activity in the placebo group declined. A study in healthy human volunteers showed that AHCC improved the response to influenza B vaccine. A study in mice mimicking spaceflight conditions showed that AHCC enhanced resistance to Klebsiella pneumoniae. It’s clear that there’s solid evidence supporting the potential of this “Hexose Cerate” to deliver some health benefits. But as for the claims that it is an “all-disease miracle cure,” or that it “can protect you against any bacteria or parasite, including Klebsiella, by giving you a superhuman immune system,” those go beyond mere hype. Hype (hyperbole) implies exaggeration. What this spiel is spouting is delirium. You need a personal supply of Hexose Cerate. Immediately. When the Klebsi Plague spreads across America, there will undoubtedly be a huge run on Hexose Cerate. So if you don’t act now, you might not be able to get some when you or your wife needs it most. And I want to send you EVERY detail you need on how to get your own supply of Hexose Cerate. How to take it… the correct dosage… and our ONLY recommended “5 star” source. …compliments of the Alliance for Advanced Health. Knowing these healing secrets – ones that few American doctors can provide – puts you in a very powerful position. Because only YOU will know all our lifesaving disease cures… as we uncover them. That’s why I want to extend to you a personal invitation to become a member of the Alliance for Advanced Health. We keep our membership limited to only the kind of free thinkers who can truly appreciate our mission. I think you’re that kind of person. … but if you leave this presentation without accepting my invitation, I can’t promise you’ll ever see this again. So let’s do this… look for the button below this presentation now. When you click it, you’ll be whisked to our secure membership page where you can RSVP to become a member of the Alliance for Advanced Health. And you’ll be able to claim ALL your free gifts. Go ahead and click the button below now to claim your 3 FREE bonus gifts. What happens when you click the button is that you agree to become a member of the Alliance for Advanced Health, for a fee of about 75 bucks – not so much, considering what a powerful position you’ll be in, knowing all those secrets. And you’ll be able to order Hexose Cerate and all of their many, many “Forbidden Cures,” from the “ONLY recommended ‘5 star’ source.” That source is not the Alliance for Advanced Health directly, but I wouldn’t be surprised if there were a pretty close connection. And by clicking that button, who knows what other “Terms and Conditions” you are agreeing to. Doc Gumshoe says Caveat Emptor, (bold type intended). By the way, the presentation uses the Chinese Klebsiella event more or less as a launching pad. It doesn’t stop with Hexose Cerate, but goes on to cite repeatedly their top miracle cures. The whole Alliance repertory of Forbidden Cures was discussed in a previous Doc Gumshoe piece, posted on June 1, 2017 and a few of their cures in some detail in the piece about supplements that posted on January 30th this year. I will go back to attempting unbiased evaluation of at least some of these miracle cures in another screed before too long. However, returning to my point of departure, it’s no mystery why a frequent response to the promotions about these cures resembles that of the young lady in the New Yorker cartoon. I truly believe that the persons and business entities that engage in those promotions, which run from merely grossly exaggerated to outright falsehoods, are giving a black eye to potentially health-giving substances such as that active hexose correlated compound (AHCC). 34 Comments on "The Most Perilous Yellow Peril & How to Escape It!" I agree. the sucker-bait promotions are actually dangerous to the health of those being targeted if they lead to failure to use normal doctors and normal pharmaceutics. I am always skeptical of any spiel from anyone that doesn’t know the difference between “bacterium” and “bacteria”. It always reads to me like “…we saw a little children standing all by himself…”. GREAT, you two are 65!!! I’m 79 and wife is 71 and we BOTH have relied on modern conventional medical care!!! My mother and wife’s mother BOTH lived to 89 WITHOUT your unconventional medicine!!! I will go to Chinatown and pick up a couple of bottles of GanManLing, mahalo! I am also beginning to believe in the wonders of hydrogen peroxide, which I used to classify in the same way as rubbing alcohol. 3 drops in each ear for 10 minutes clears up my sinus congestion when I had a recent head cold since I was desperate to get well sooner. I will also be trying organic pears for my residual cough. If it works, great! If it doesn’t, I get the benefit of having some delicious fruit. honolulu-aunty, what % of food grade Hydrogen Peroxide are you using? WholeFoods sells a 3% and there are much higher % available online. I hope your are using food grade Hydrogen peroxide. Thank-you for an honest answer. You sound like a trustable source. Big Pharma can’t even cure a common cold and we expect them to be able to cure a plague? More silly nonsense like finding the cure for cancer. You’ll have better luck using vitamins and essential herbs. Big Pharma does not want to “cure” an because once you are cured you no longer need to fleece their pockets. They only “call it medicine” if it can be patented, so that it is worth the billion$ cost to be approved as a drug. I would not be so quick to dismiss “snake oil” ( thinking of Fish oil, coconut, olive & others). Maybe the problem was “fake” snake oil sold as real? Common knowledge is commonly wrong? That’s my understanding: true “snake oil” from the Chinese Water Snake works very well, but when there wasn’t enough available in the wild west, all manners of inferior substitutes got bottled and flogged to the gullible public, destroying its reputation. Thanks, Dr. Gumshoe! Your analysis is, as usually, erudite and on the spot. Perhaps we should all eat more shitake mushrooms! Mike, the racial slur in your title isn’t acceptable in this day and age. Apologies, Richard. I meant the “Yellow Peril” mention to poke fun at the promotion, which attempted to frighten people with the “Chinese Klebsi” stuff. What racial slur? Quit being a snowflake. It isn’t acceptable in this day and age. I’m with Ronald. Besides, it never was a racial slur, it was a widespread fear, not realized, but it wasn’t something to call a person. How do I know, I remember those times. Thanks for the terrific, balanced, article. I look forward to your unbiased evaluation of alleged “miracle” cures. By the way I’ve taken AHCC, and my experience has been that 6 capsules a day help significantly when I get a nasty cold or flu. But I’ve also found that when I reduced the dose to 2 capsules a day, my symptoms have sometimes returned. So it is clearly not always a quick cure. Sometimes, actually often, when it is said to be antibiotic “resistant” it actually may mean it was not used for a long enough period. If normally they recommend 10 days , it may take 20 or more days. Doc, need help from you or Travis. other opportunities. An I nuts? Or, just dreaming from the meds I am on? Yes, unfortunately, there was some kind of a problem that came up and they were not able to work it out in a way that was amicable to both sides. Doc decided to leave. I think he is trying to put together something else somewhere else, but that has not happened yet as far as I know. We all miss him! Thanks to the both of you. Much appreciated. I have MRSA. I’ve kept it under control with diet,trying to protect my immune system and drinking high PH water . Does HEXOCE CREATE have any positive effects in combating MRSA. Also how is it in fighting pancreatic cancer? THANKS. I was diagnosed with MRSA and the plan of attack was a pic line and Vancocin but because the physicians were unavailable during the holidays (Christmas and New Years ) I would need to leave the pic line in for an extra week. I talked the infectious disease specialist into prescribing SMP/TMZ and I told them if conditions worsened I would go directly to the hospital for attention. The Bactrim DS cleared the infection. I hadn’t heard much before about the medicinal benefits of shitake mushrooms. Reishi and maitake are better known “immune mushrooms,” and you can find bottles of extract for both of these. from Alliance for Advanced Health but there is no topic about Klebsiella. Re: Klebsiella plague promo from Alliance for Advanced Health…. This promo appeared in my inbox today. “Doc Gumshoe” wrote about it in March 2018, but they’ve updated the time line to hit in Winter 2018. Snopes says it’s an Agora subsidiary! Is anyone surprised?